Things are moving quickly on the new season of "American Idol." On Monday night's episode, 169 hopefuls arrived at the Dolby Theatre in Los Angeles for Hollywood Week, but only 24 were expected to survive. By the show's end, both the initial "lines of 10" round and the dreaded group round were over and done. Below is the recap. "American Idol" heads to the heart of Los Angeles for Hollywood Week, as the search for America's next superstar continues, March 26, 2018. The first hour saw the contestants take the stage in groups of 10, with each performing a brief solo. The contestants who made the biggest impression made it through the first cut, as judges Luke Bryan, Katy Perry and Lionel Richie applied the tried-and-true "When I call your name, step forward" trick. Layla Spring, Kentucky girl whose adorable little sister Dixie accompanied her to Hollywood. Alyssa Raghu, 15-year-old daddy's girl with an effortless voice. Trevor McBane, soulful, hat-wearing 21-year-old goat farmer. Caleb Lee Hutchinson, deep-voiced country singer. Catie Turner, awkward guitar-playing girl with glasses who was the very first to audition this season. Noah Davis, red-cheeked alpaca-loving Arkansas boy who loves saying "wig." Jonny Brenns, who lied to his parents about auditioning, and had Lionel sing to his mom when he made it. Trevor Holmes, "dreamboat" who flirted like crazy with Katy while his girlfriend watched. Ada Vox, drag queen from season 12. Lee Vasi, girl with cornrows who sang the Commodores' song "Zoom" with Lionel Richie. Maddie Zahm, girl who teaches music to disabled kids; brought student Marcus with her to the audition. Jurnee, petite powerhouse vocalist whose wife is in the military. The most dramatic moment during the lines of 10 came when 17-year-old twins Julian and Milo Sposato performed. After each sang separately, the judges put Milo through, leaving Julian behind. Other memorable singers who were cut: partially paralyzed engaged singer David Francisco and deep-voiced Sinatra-style crooner Zach D'Onofrio, who danced with Katy during his audition. 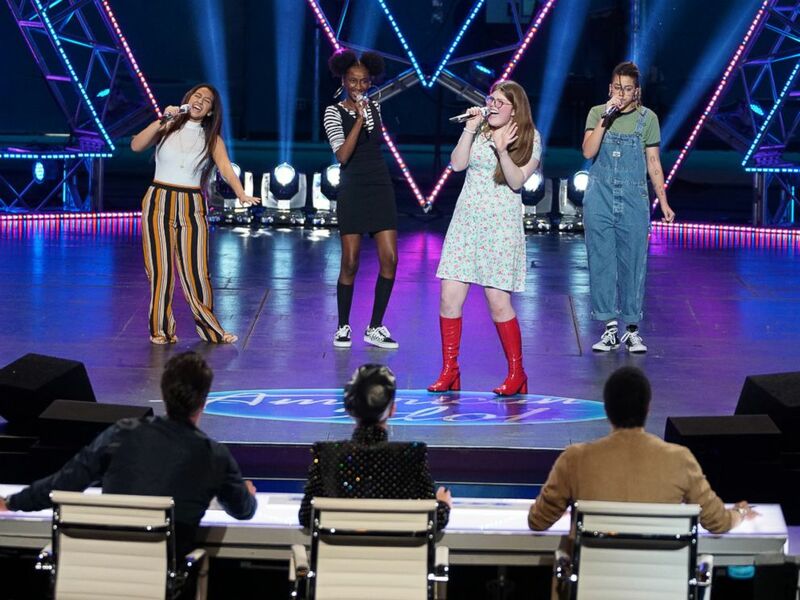 The second hour of the show was dedicated to the group round. But unlike past years, there was very little drama and infighting -- probably because the entire thing was compressed into 60 minutes. There were a few forgotten lyrics and hoarse voices, but the only real problematic moments came from Milo Sposato and Laine Hardy. Egged on by his bossy mom, Milo appeared to be pulling a diva move by insisting on singing his verse of Justin Bieber's "Love Yourself" a cappella. It all worked out in the end, when he and all the members of his group, Superdope Hotness, made it through. Hardy, the only boy in a group called The Soul 4's, wasn't happy about singing "Love Yourself" and didn't seem to be pulling his weight. But he was one of only two who made it through from his group. The first group to perform, God's Diversity, set the tone with a standout performance of Clean Bandit's "Rather Be." Four of the five group members got through, including Thaddeus Johnson, Shannon O'Hara and Michael J. Woodard. The Gurope, which included Maddie Zahm, couldn't remember the lyrics to the Bee Gees' "Stayin' Alive" to save their lives, but Zahm made up lyrics on the spot, and managed to make it through, along with two of her group mates. TACO -- so named because they predicted the judges would "TACO 'bout us" -- sounded great on "La La La" by Naughty Boy. Group members Catie Turner and Alyssa Raghu made it through, along with another contestant. The only cruel moment of group round came when the final group, four girls called Don't Touch, performed "Me & My Broken Heart" by Rixton. After they finished, judge Katy Perry told them there was only room for three, and asked one of them to volunteer to go home. Unbelievably, Crystal Alicea, the most insecure member, said she'd leave, and started to cry. "Oh, sweetie, don't cry," said Katy. "You're ALL going through!" 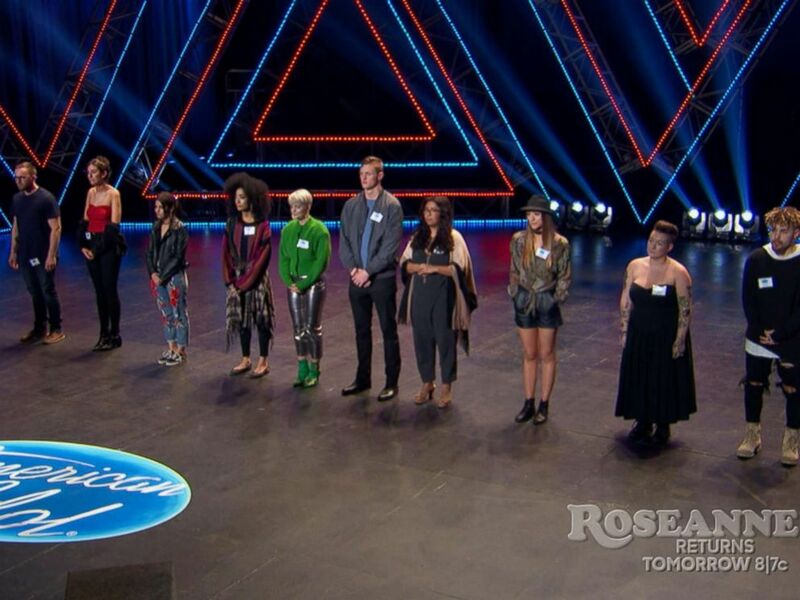 Tune in Sunday night, April 1, for the Solo Rounds, as the remaining contestants are whittle down to 24.